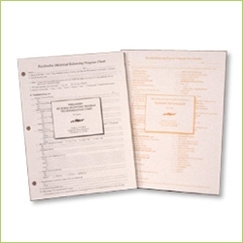 Blank MBP Telegraph Testing Checklists - Perelandra Ltd. The MBP Telegraph Testing Process as explained in the Perelandra Microbial Balancing Program Manual: Revised and User-Friendly allows you to take microbial balancing to new heights of precision and efficacy. You will be using two Checklists per process. Or download a blank MBP Telegraph Testing Checklist for free here and print them as needed.